Patch for Linux, UNIX, Mac Patch management from workstations to the data center, for multiple OSes and 3rd-party apps. Find out why patching is a critical piece of an effective multi-layered security strategy. Never miss a Patch Tuesday update. We make sure you're always up to date. See why the FBI says patching is the first of 9 steps to prevent ransomware. You need patch management software in your toolbox that can handle today’s heterogenous environments. Extending patching beyond Windows is a must. And doing this efficiently, using a single interface and automated tool, not only frees up IT, but also reduces human error while enhancing your defenses. Extend agent-based patching beyond Windows, workstations to servers. Protect thousands of systems with one tool—even in wildly heterogeneous environments—without disrupting business. 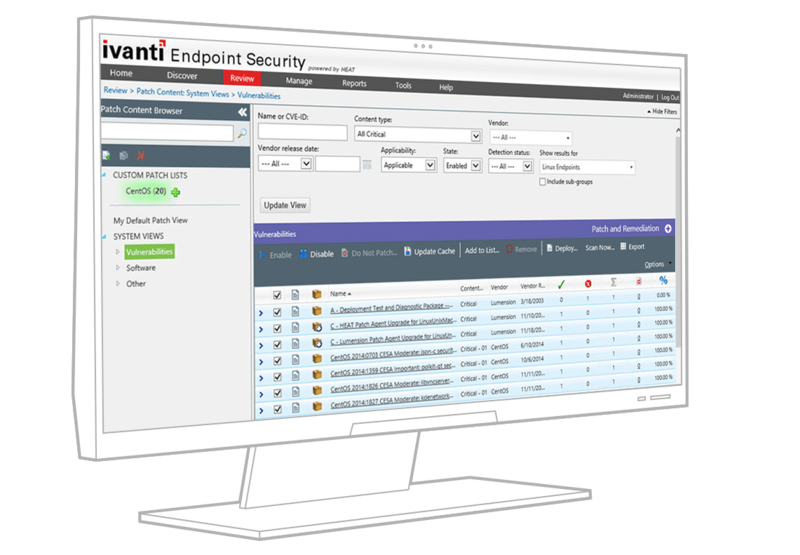 Automate vulnerability assessment and patch management across your organization. Create consistent policies for more efficient and effective patching, from your servers to your endpoints. See, assess, and protect your workstations and servers to comply with security standards such as PCI and HIPAA/HITECH. Patch at the right time, under the right conditions, so your business keeps moving forward. Detect and remediate OS and third-party app vulnerabilities on systems running Windows, Linux, UNIX, and macOS. Patch all devices across your network while optimizing bandwidth. Test, package, and pre-stage automatically. Free up IT and reduce the chance for error. Simplify and streamline how you patch your mixed environment. Bring powered-down physical systems back online to ensure that critical patches and software updates are successfully deployed. Make smarter, faster decisions when you cut through the mass of information to the insights that matter most. Take advantage of the industry’s broadest third-party patch catalog, including the largest repository of Adobe vulnerability content. Validate patch applicability and status with our patented technology to avoid false results. Save yourself headaches and time. Get our automated solution for patching heterogeneous environments, including coverage for multiple OSes and an industry-leading catalog supporting third-party app patches. We're here to help with all your Patch for Linux, UNIX, Mac questions and get you to the next step. 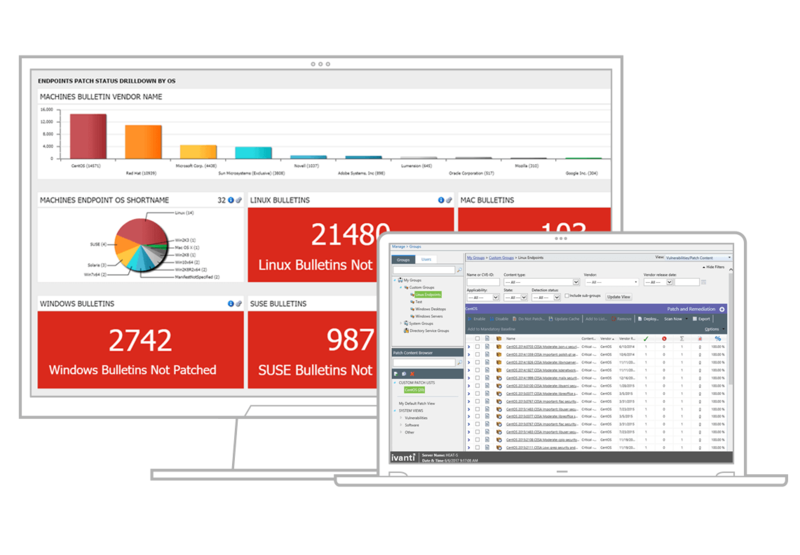 Ready to streamline security in your mixed-OS environment with a better patching tool? Get your quote today.